ESO Supernova Exhibition — How do we see invisible light? How do we see invisible light? Engineers can design special types of detectors that are sensitive to different types of radiation. 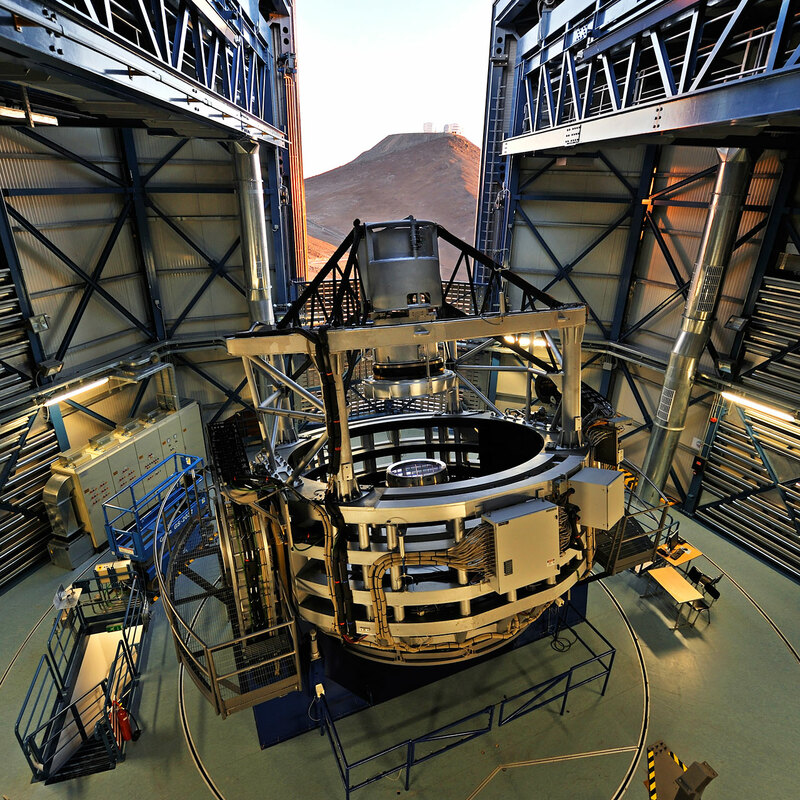 Infrared watchdog: The 4.1-metre VISTA telescope at the Paranal Observatory is the world’s largest infrared survey telescope. Space surveyor: Longer infrared wavelengths are better studied by Earth-orbiting satellites like NASA’s Wide Field Infrared Survey Telescope (WFIRST). Observing the Universe at a variety of wavelengths requires special telescopes and instruments. 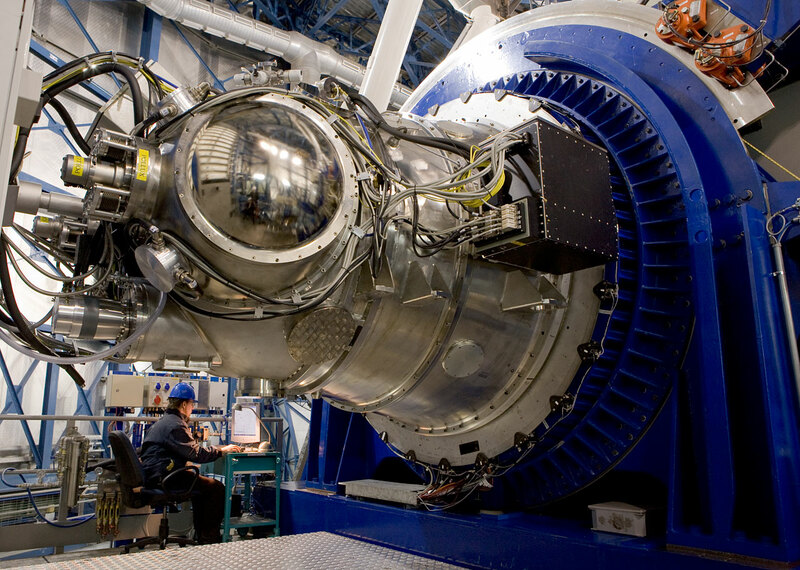 To see infrared light, instruments need to be cooled, otherwise they emit too much infrared radiation themselves. Ground-based telescopes can observe in the visible, near- and mid-infrared and radio. Far-infrared wavelengths can only be studied by high-flying aircraft, balloon-borne instruments and space telescopes. High energy radiation like ultraviolet and X-rays can only be observed from space. Comparing views: Radial ribbons of relatively cold nebular gas are evident in the infrared view of the Helix Nebula (left), which is compared here with a photo in visible light (right). Bird of prey: HAWK-I (High Acuity Wide field K-band Imager) is the Very Large Telescope’s most sensitive infrared camera. It is mounted on the fourth VLT Unit Telescope. Dogs can hear high-pitched sounds that your ears don’t notice – “unhearable” sounds. In the same way, there’s light that our eyes can’t see: “invisible” light. To see it, you need special cameras.